Former Florida Governor Jeb Bush has admitted he accidentally described himself as Hispanic. 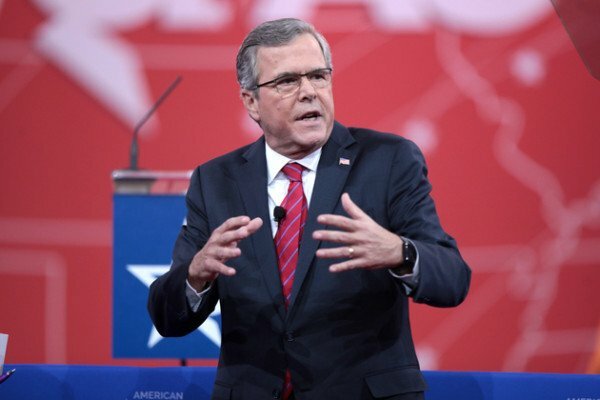 The New York Times has revealed that Jeb Bush identified himself as Hispanic in 2009. The newspaper published a voter registration form where Jeb Bush had marked “Hispanic” rather than “White, not Hispanic”. Jeb Bush tweeted: “My mistake! Don’t think I’ve fooled anyone!,” after his son, Jeb Bush Jr., called him a “honorary Latino”. The newspaper posted a fuzzy copy of the form, which it said it had obtained from the Miami-Dade County Elections Department. The Bush camp said it was unclear how the error was made. “The governor’s family certainly got a good laugh out of it,” spokeswoman Kristy Campbell said. The Republican politician has excellent credentials for his alternative ethnicity. He is a fluent Spanish speaker and his wife, Columba Bush, was born in Mexico. He also spent two years in Venezuela during his early twenties. Born in Texas, Jeb Bush is the brother of former President George W. Bush and son of former President George H.W. Bush. He is believed to be considering seeking the Republican nomination for president in the 2016 elections. Jeb Bush is widely seen as a centrist Republican who can appeal to different demographics, hopefully including Hispanic voters.